Tias Town Council has announced a cultural trip to the island of Los Lobos and anyone who wants to participate has to sign up with the Culture Department (Departamento de Cultura). The island of Los Lobos is situated between Lanzarote and Fuerteventura, in the La Bocaina straight. 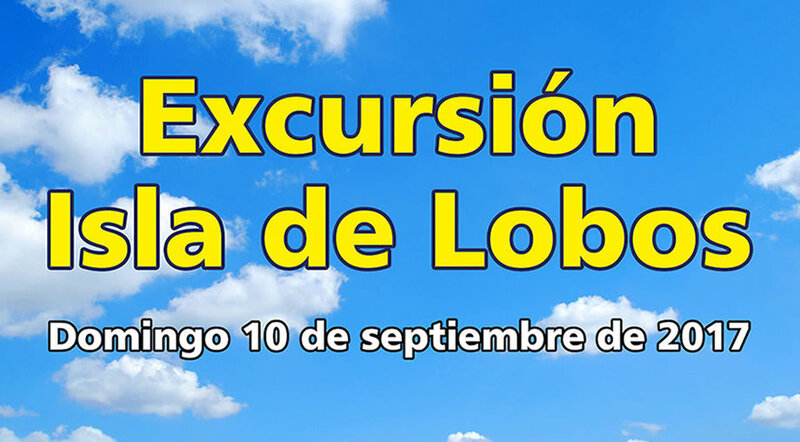 If you want to participate in this excursion to Los Lobos you have to sign up with the Culture Department – for more information call at this number: 928 83 36 19. Recently there have been some archaeological discoveries on Los Lobos and this is the reason why the Concejalía de Cultura del Ayuntamiento de Tias is organizing this trip. The trip to Los Lobos includes food and drinks aboard the boat. Once the boat reaches the island, the participants can enjoy the beautiful beaches, swim or go trekking around the island to discover more hidden places and secluded beaches. The Council has also announced that snorkeling equipment and kayaks will be available for participants to the trip. The island of Los Lobos has been a nature reserve since 1982, so it guarantees a day of peace and tranquility, where you can enjoy the turquoise waters and unspoiled beaches with beautiful views towards Fuerteventura and Lanzarote alike. If you are interested in participating in this trip from Lanzarote to Los Lobos and you want more details, read the official announcement and you can also contact the Department of Culture directly at the phone number above.